This week I didn’t progress as much as I would have liked, but I do love what I was able to accomplish. 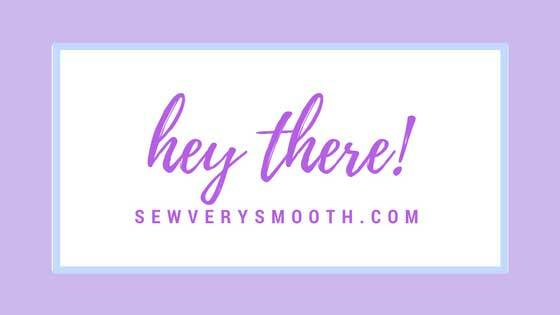 The main issue I’m having is finding the time to sew. It’s not normally a complicated issue, but for the next few months the circumstances are stacked against me. When we moved in December we gave up our office. We have enough room in our current home to have my husbands computer in the dining room and my work space in our bedroom so having an office isn’t a necessity. It’s actually pretty nice working in my bedroom. But here is the problem. My husband’s schedule rotates every three months and he is currently on the graveyard shift which means he sleeps during the day. When he’s sleeping I can’t sew. This week it was really getting to me, the lack of time. 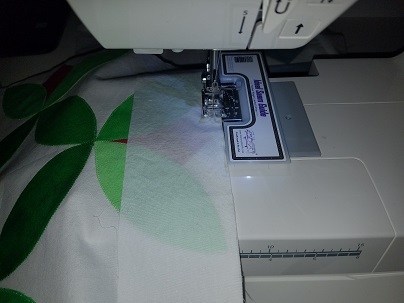 So, after a nice talk with my husband we have finally worked out a schedule for when he’s on graveyard that will allow me to sew for at least two hours a day. Ideally I’d have more time, but I’ll take it. During my short sewing periods I managed to complete three of the four corner units. They were easy and yet complicated. I’m just grateful two of the three lined up perfectly. The third was the first one I did and it isn’t lined up as well as it could be, but I don’t think anyone will notice that except me. I cannot wait to have this thing finished. 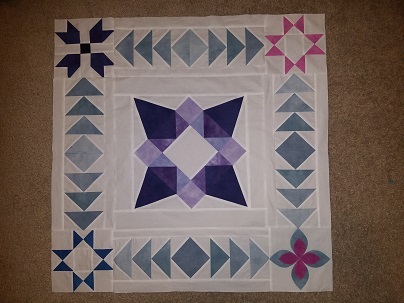 I have no idea how I will quilt it and I still need to piece together the backing for it which will be its own kind of challenge. I plan on using all of the leftover fabric from the this quilt top and piece them together on the back in a color spectrum pattern. I think it will look amazing when it’s done but it will take a lot of planning to make sure the spectrum looks right. For now, I will focus on finishing the quilt. 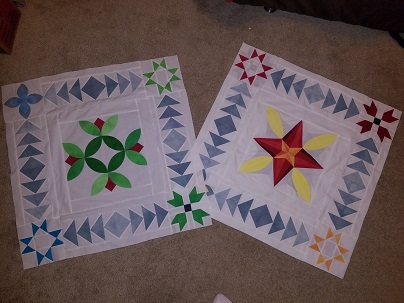 I have one more corner unit to finish and then I will be sewing all of the units together and adding the border. Easy peasy.